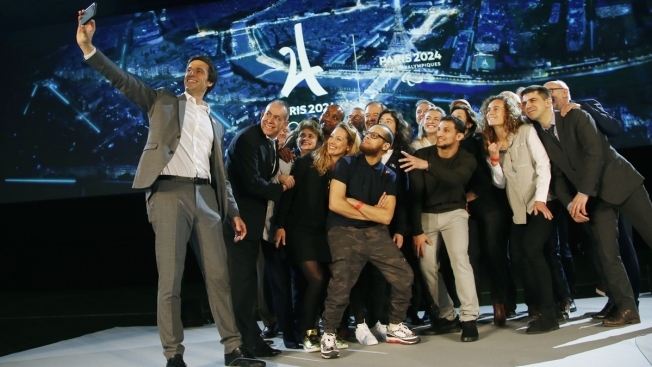 Paris 2024 Games' chief Tony Estanguet, left, makes a selfie with all invited guests after a media conference at La Defense business district, outside Paris, Thursday, Feb. 21 , 2019. The organizers of the 2024 Paris Olympics want to add breakdancing to the games, which would be a first for the dance sport that came from the streets of New York. Also on Paris' wish-list of events it wants to add to the program are climbing, surfing and skateboarding. From the streets of New York to the Olympic podium: Breakdancing's conquest of the globe seemingly knows no bounds. Getting hip to breakdancing's appeal with young audiences, organizers of the 2024 Paris Olympics want the dance sport that spread from New York in the 1970s to become a medal event at the games. The final decision on which events make the cut will be made by the International Olympic Committee after the 2020 Tokyo Games. But simply being proposed on Thursday by Paris for an Olympic debut in 2024 was hailed by breakers as a milestone that will boost breakdancing's global footprint and its acceptance as a bona fide competitive sport. "It's a victory for us. Even if it goes no further, we'll still have won," said Mounir Biba, one of the foremost breakdancers in France, which is a stronghold of the sport. Also on Paris' wish-list are climbing , surfing and skateboarding — which will all make their Olympic debuts at the 2020 Tokyo Games. The head of the Paris organizing committee, Tony Estanguet, announced the selection, disappointing other sports that lobbied for a spot, including karate and squash. 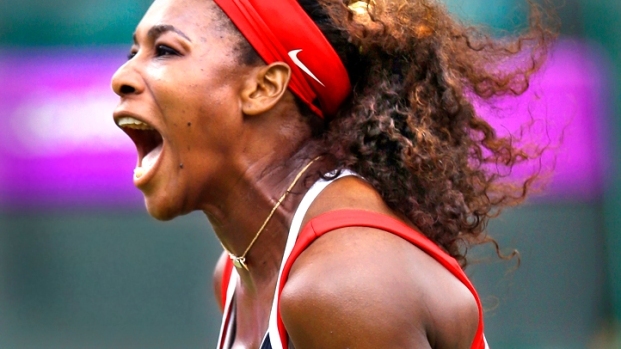 Paris' proposal is the four sports together enter 248 athletes, evenly split between men and women. Room would have to be made elsewhere in the program to stay within the IOC's ceiling of 10,500 Olympians in total. In competitive breakdancing, also called breaking, breakers — alone or in teams — face off against each other in "battles," taking turns to show off an array of imaginative, acrobatic and improvised moves to a DJ's beats, watched by a judging panel that picks the winner. Breaking featured at the Youth Olympic Games last year. "There's simply no doubt about the athletic aspects of the discipline," said Biba, fielding numerous questions at the Paris announcement about how breaking qualifies as a sport. "I defy Cristiano Ronaldo to do just one of my movements," he said. Estanguet said the 2024 organizing committee wants "to connect the games to their era." Jimmy Fallon and Brad Pitt don’t need to talk in order to communicate. Check out their "breakdance conversation" from the basement of 30 Rock in New York City. Organizers noted the proposed sports have broad appeal to young people, large and active audiences on social media and, with skateboarding and breaking in particular, an urban base. Another advantage for Paris as it seeks to satisfy IOC efforts for less wasteful games is the four sports shouldn't need large and complex new venues. Estanguet said Paris organizers are also aiming to make the 2024 Games more participative than ever, by allowing members of the public to test themselves against the performances of Olympic athletes, in the real world or virtually. That could include organizing a public marathon on the same route the Olympians run on, and on the same day. Organizers also are exploring connected technology that might allow spectators to virtually compete against Olympians. That could include riding a stationary bike at home and comparing that performance against those of cyclists in the Olympic races.